Just like in Lisp, Clojure uses let to define locals. The only real difference is that Clojure uses a vector of names and their bindings, whereas Lisp uses a nested list. I think the Clojure way is a little easier to read. Here’s the equivalent code in Clojure. Note how the square brackets make things stand out a little bit more. I think the way Clojure uses square brackets in certain places that CL uses parentheses makes the code easier to read, overall. I read Conrad Barski’s excellent book Land of Lisp a couple of years ago, and worked through all the examples using CLisp, but I thought it might be fun to go through it again, but use Clojure instead. Other people have done it already, but what’s one more, eh? So, the first example is for a program to guess a number you are thinking of. In Lisp, defparameter allows you to rebind values, but Clojure’s def is immutable. Using a ref gets around this, though it is a bit clunky (since refs are intended for multi-threaded access.) The code is not great, and you wouldn’t write a Clojure program like this (or a Lisp program, really); it’s just to get the discussion moving. Better code is coming. Anyway, here’s the number-guessing program in non-idiomatic Clojure. To run it, load it into a REPL, then execute (guess-my-number). If you are so enraptured with the game that you want to play it again, execute (start-over) and then (guess-my-number). ;; used mutable global variables. "This is, effectively, a binary search between the two extremes." "The guess was too high, so lower it." "The guess was too low, so raise it." "Reset everything and prepare to start over." 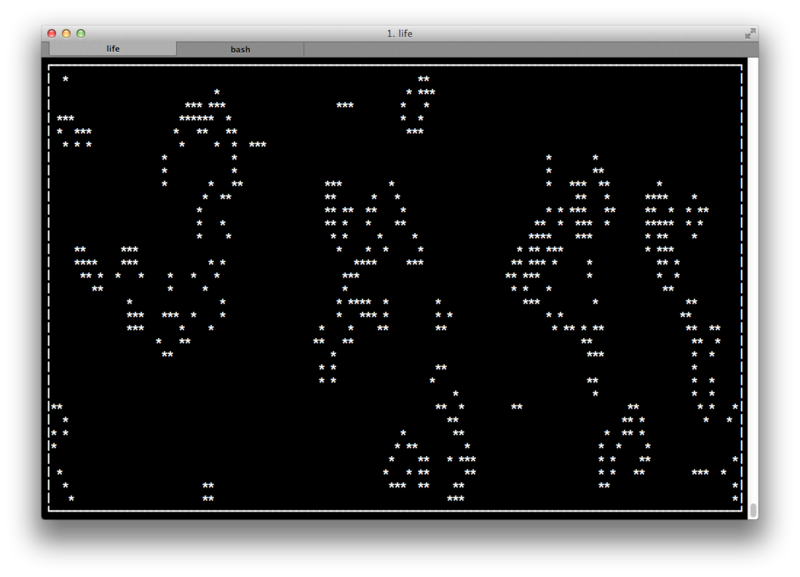 I like to test things out interactively, so I love working with languages that provide a REPL. I’m currently working on a Java project, but Java doesn’t have a REPL. Several languages built on top of the JVM do have them, and these langauges can access the Java classes on their classpaths. Groovy, Scala and Clojure are just three such examples, that I happen to work with. Um… yeah, if you believe what the bible says about Satan, that he exists at all, and where he came from, then of course he’s an extraterrestrial. 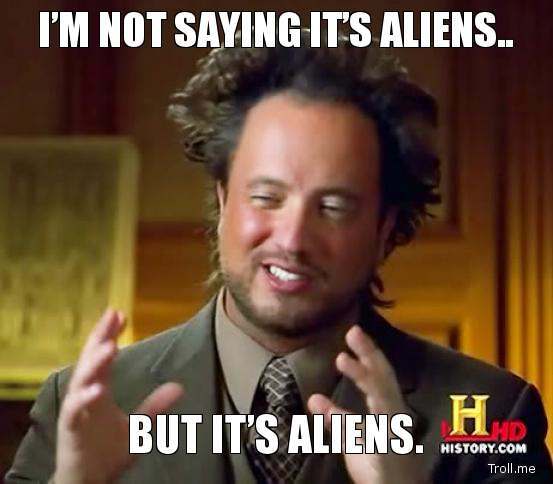 Because what is an extraterrestrial? According to dictionary.com, it’s, “outside, or originating outside, the limits of the earth”. That sounds like what the bible says about Satan, God, angels, pretty much everyone who wasn’t created on the Earth. Of course, I think Satan, “the devil”, “Beelzebub”, etc., are just allegories for evil, and not an actual being, but this still really annoys me. I’m really ready for idiotic shows like this (and those celebrating semi-literate rednecks) to run their course and go away. In ordinal rank, the ace in a deck of playing cards is lower than the two — it’s the one, after all. But in most card games, the ace plays as the high card, trumping the King. Why? According to Wikipedia, this use became popular after the French Revolution, with the ace symbolizing the rise of the commoner over the monarchy.